All beautiful landscapes begin with a plan. But not all plans produce beautiful landscapes. 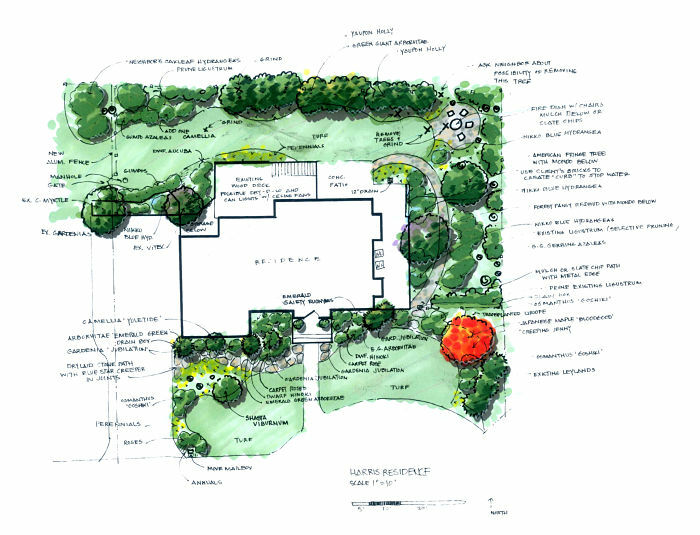 So the question is: What differentiates good landscaping plans from bad ones? 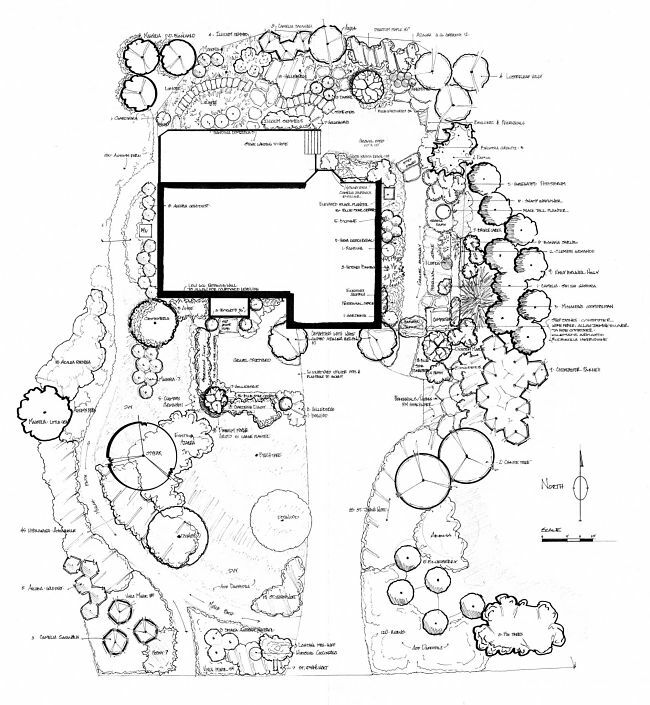 Good plans incorporate the fundamental principles of art and landscape design. They also follow a step-by-step design process that requires a great deal of input from the clients and therefore ensures that the finished design meets their expectations and fulfills their needs/desires. Interview and Site Analysis - Your designer will walk through your property with you to identify and document any likes or dislikes you may have about the site in its current state and get a general idea of what you want to accomplish. He/she will present various options and try to determine what style of landscape design suits your tastes. During this meeting, you also will be asked for the completed questionnaire which was sent to you in advance of the meeting. 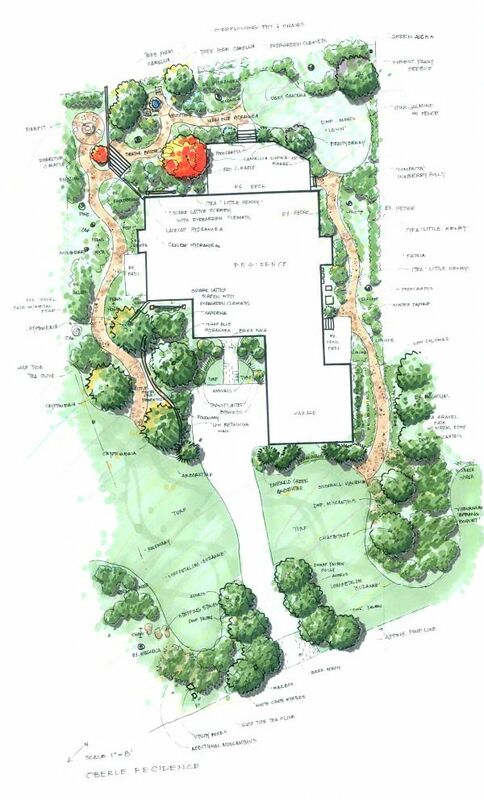 The information in the questionnaire gives us detailed input about your needs and desires regarding the landscape. The designer will then take measurements and photographs of the site, record information about the layout of the property, changes in the terrain, drainage conditions, etc. Using this information, a conceptual plan will be drafted. 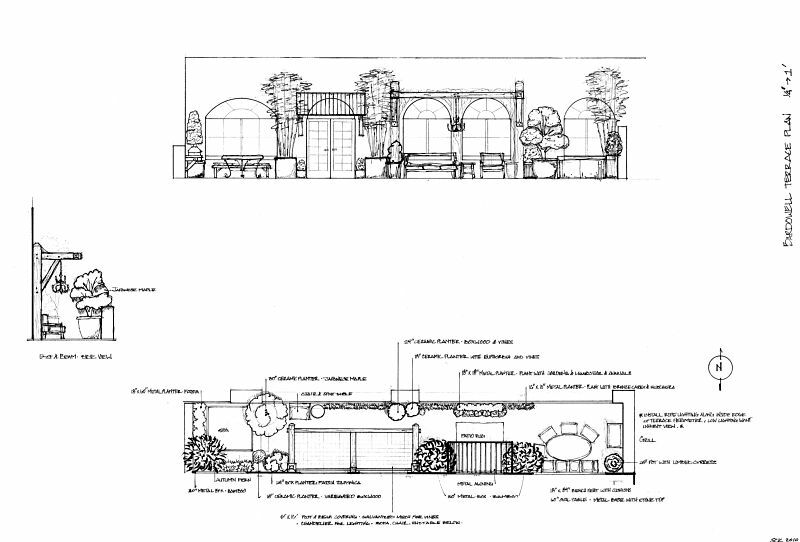 Conceptual Plan - The designer will next meet with you to review the conceptual plan. 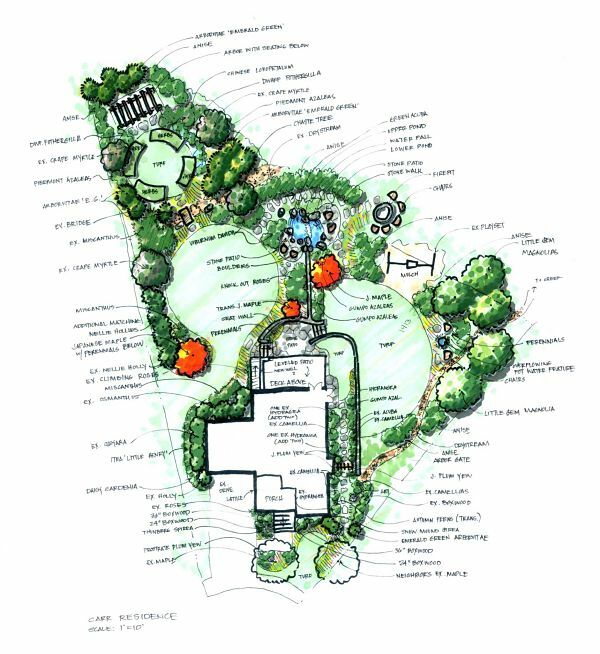 It will provide an overview of the project and will give details about such things as the location and general content of planting beds, the placement and nature of hardscape and/or water features, and the creation or remaking of functional areas within the landscape. 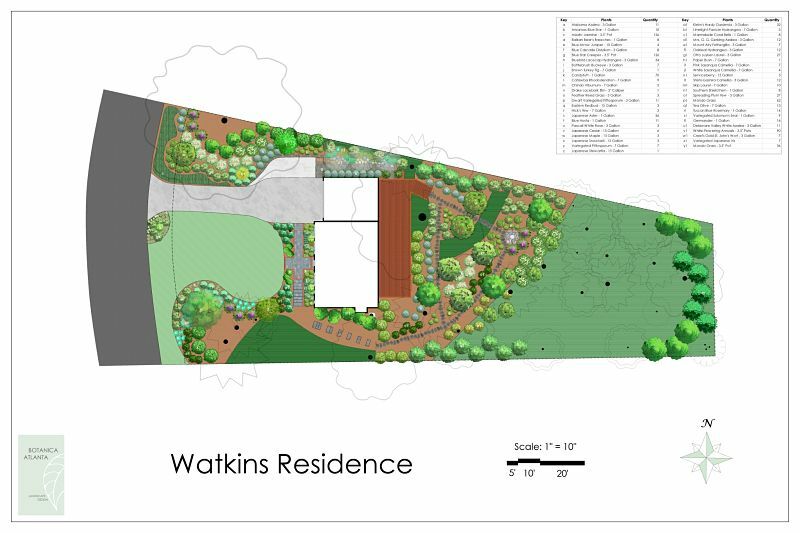 During this meeting, you should check the conceptual plan against the questionnaire that you completed during the site analysis to determine if all of your needs and desires are being addressed. 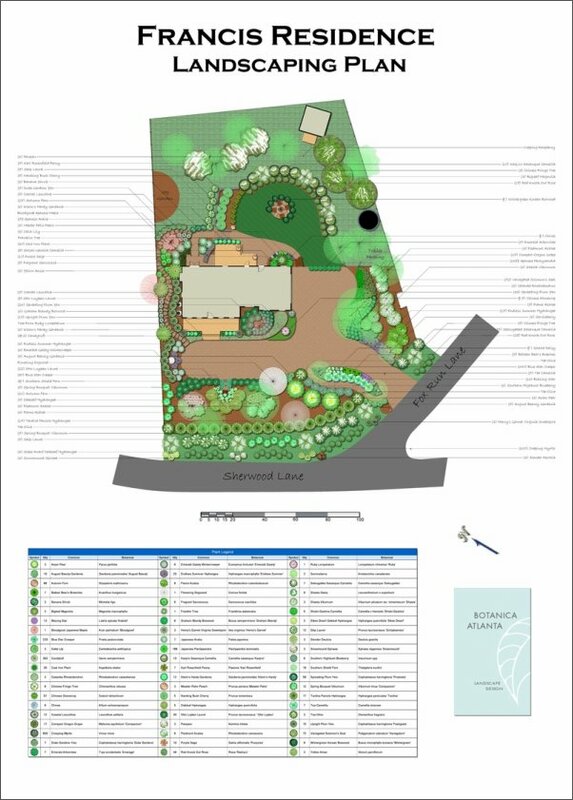 Master Plan - Upon approval of the conceptual plan, the designer will then prepare a scaled master plan which will not only show the layout of planting beds and other features within the landscape, but also give a comprehensive listing of plants in the design, and provide specifications on hardscape features. 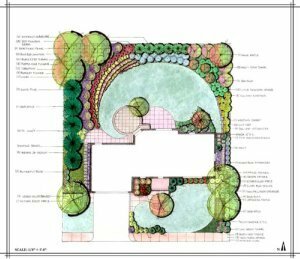 In some cases, you may be provided with image designs of your landscape showing before and after photos of how the new landscaping will look, in addition to being provided with a two-dimensional master plan. In other cases, the design might also be detailed in 3D designs. 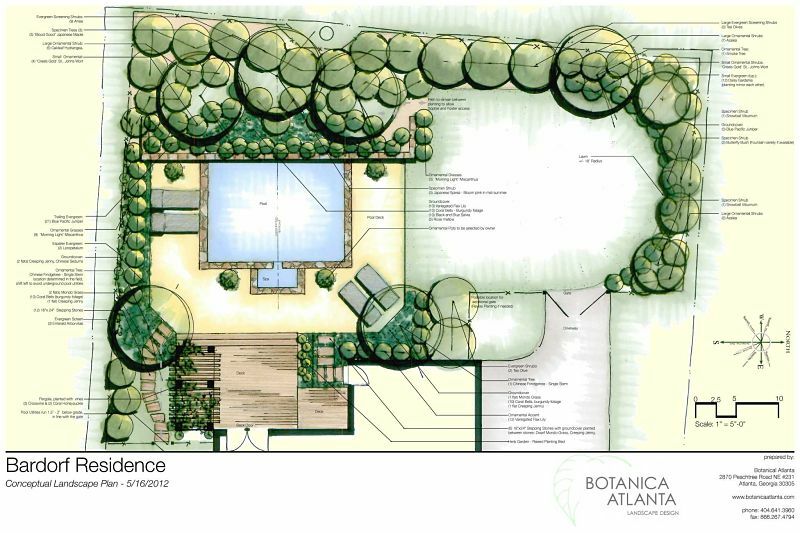 A cohesive design - It's a fact that every beautiful landscape begins with a plan. If you try to construct a landscape without having an overall design, you'll end up with a piecemeal look. 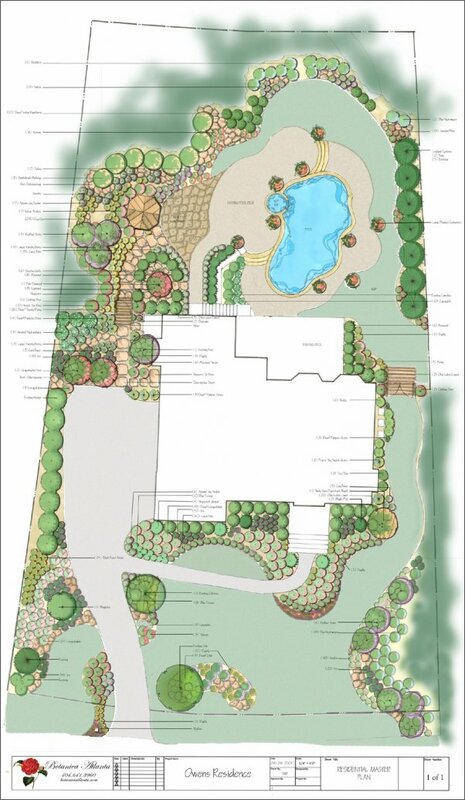 Our designers are trained in the principles of landscape design and experienced in the application of them. 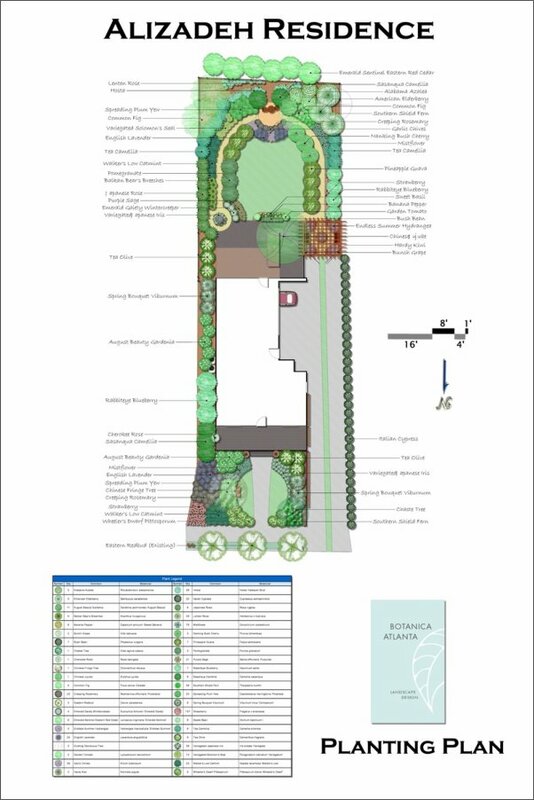 We know plants, we know construction techniques, and we know how to put the two together to create beautiful, functional, long-lasting, and low-maintenance landscapes that are tailored to meet the needs and desires of our clients. 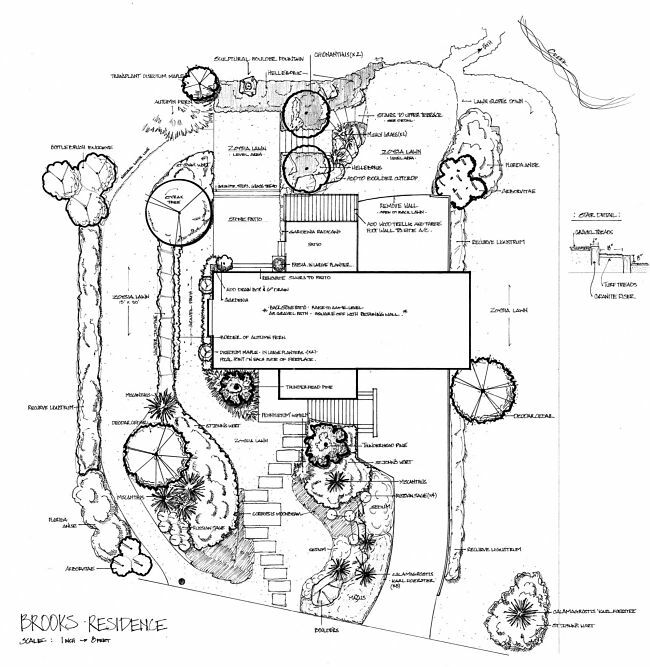 An informative design - What good is nice landscaping if you don't know how to maintain it? 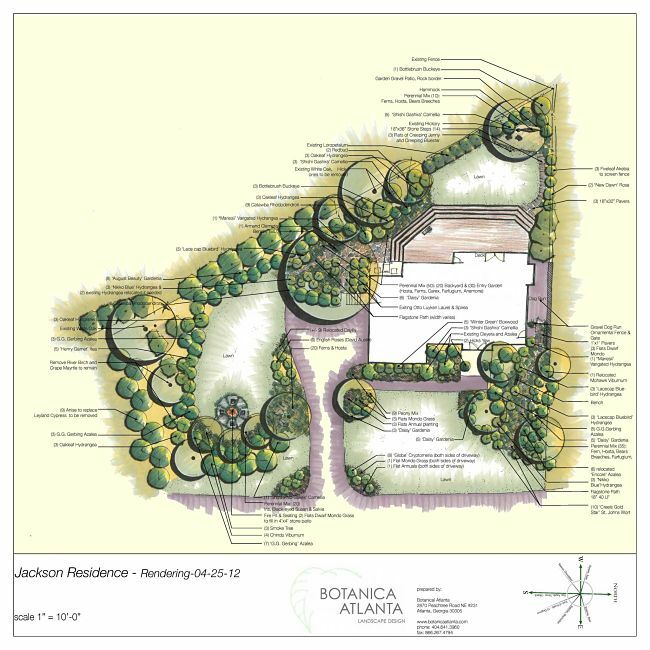 At Botanica Atlanta, we don't just give you a drawing and a list of plants. We give you detailed information about each plant in the design and a comprehensive maintenance schedule so that you or your landscaping crew can keep your property looking good as the plants mature. A fulfilled design - The best designs are no good if they are not properly implemented. Our crews have the experience to expertly do all of the work in your landscaping installation project from start to finish, including planting, irrigation, hardscaping, lighting, and more. All design services are billed at $75 per hour. Please see examples of our work below and contact us for a precise quote on your landscape design.